Three new MLT (Manitou loading telescopic handlers) NewAg models will be launched in North American in 2018 — the Manitou MLT 630, MLT 733 and MLT 737. A new wave is hitting the North American agricultural market with the introduction of Manitou's NewAg telescopic loaders. The new line unveils essential innovations in comfort, performance and efficiency for the agricultural industry, according to the manufacturer. Three new MLT (Manitou loading telescopic handlers) NewAg models will be launched in North America in 2018 — the Manitou MLT 630, MLT 733 and MLT 737. Designed for performance, Manitou NewAg telehandlers feature all-terrain handling, four-wheel drive, four steering modes, attachment hydraulic locking and limited slip differential. Three different types of transmissions include: torque converter and hydrostatic options, manual and automatic modes, and two to six speeds. 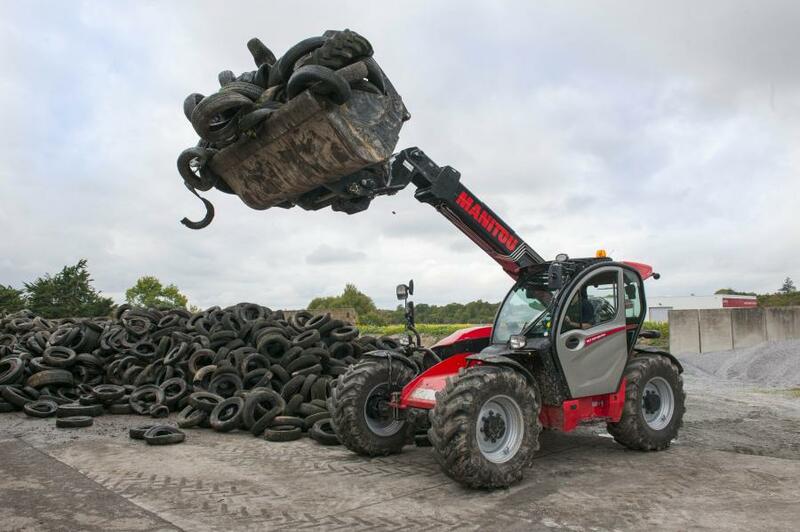 Manitou NewAg telehandlers also come standard with a new Active CRC system that absorbs unwanted movements of the boom, protecting the load and adding driver comfort. The Manitou NewAg Range is designed for superior comfort and safety. Operators will appreciate an easy-access cab, extra soundproofing and an all-new integrated dashboard. The machine comes with Manitou's JSM joystick control (joystick switch & move) that allows single-handed operation of the boom and all hydraulic and transmission movements. Visibility in a NewAg machine is exceptional with a redesigned roof grid and panoramic windshield that provides true 360-degree visibility, according to the manufacturer. The Manitou NewAg range is designed for maximum return on investment. Extending the time between oil and filter changes and re-engineering the cooling system have lowered the total cost of ownership. Maintenance is quick and simple with easy access to engine components, principal tanks, fluids and grease points. Manitou NewAg telehandlers are also equipped with Easy Manager, a new tool that provides instant access to key operational data while monitoring engine data, machine activity and location with an integrated GPS system. The Manitou MLT 737 also is equipped with intelligent hydraulics, a standard feature that improves operator efficiency. Intelligent hydraulics provide three time-saving functions: “Quick Lift” allows the operator to extend or retract the telescope and simultaneously lift the boom; “Bucket Shaker” quickly empties the bucket without making repetitive movements; and “Return to Load” memorizes attachment and boom angles for quick return to position. The Manitou MLT 630 and MLT 733 NewAg telescopic loaders will be launched later this year. Manitou offers numerous attachments for the NewAg Range, including bale clamps, forged grab buckets, sweepers and silage facing buckets. For more information, visit manitou.com.